The two orthopaedic sugeons, Dr Sven Lichtenberg and Prof Dr Markus Loew have focused on the treatment of shoulder and elbow disorders for more than twenty years. Both have authored several books and numerous scientific publications in their field and both are certified specialists of the German Association for Shoulder and Elbow Surgery (DVSE). Together and individually they treat patients in their special area at the German Joint Centre of the ATOS Clinic in Heidelberg. For Dr Lichtenberg and Professor Loew their patients are always their prime focus. Therefore they recommend surgery only if conservative treatment fails. Complex cases are discussed together in order to exercise an expert partnership for their patients benefit. In their practice and in the operating room the two shoulder and elbow specialists work up to the latest techniques. For example, shockwave therapy for calcifying tendonitis and injection of autologous plasma for partial tears of the rotator cuff are some of the conservative treatment options. Dr Sven Lichtenberg is Deputy Medical Director of the ATOS Clinic in Heidelberg and a respected surgeon who operates solely on shoulder and elbow joints. Having partnered Prof Dr Peter Habermeyer in the practice for many years, he has been able to acquire extensive expertise in this special field. Each year Dr Lichtenberg treats some 350 patients for rotator cuff injuries, implants some 60 shoulder arthroplasties and performs about 60 elbow-joint procedures. When possible, Dr Lichtenberg performs arthroscopic procedures to shorten wound healing time and reduce patient’s risk. One of Dr Lichtenberg’s key concerns is participating personally in improving surgical procedures and sharing his knowledge. His contributions thus appear in respected scientific magazines and his book “Atlas Schulterarthroskopie” from the year 2008 has been reissued in a second edition. In addition, Dr Lichtenberg is also active in German, European and American specialist associations. 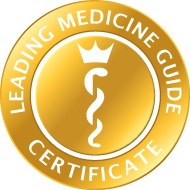 Excellent patient evaluations and a listing for the shoulder and elbow surgery field on a national list recommending physicians underline Dr Lichtenberg’s expertise. Prof Dr Markus Loew committed himself to his specialist field, shoulder and elbow joint surgery, over 25 years ago and has since specialised ever further. For more than 15 years he ran the shoulder, elbow and hand surgery section of the Orthopaedic University Clinic in Heidelberg and from 2004 – 2010 he was President of the German Association for Shoulder and Elbow Surgery (DVSE). 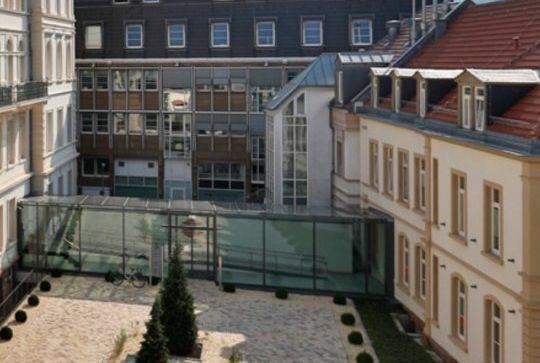 Since 1996 Prof. Loew has also taught at the University Clinic in Heidelberg, where since 2002 he has been Adjunct Professor for Orthopaedic Surgery. For his research and his several publications Professor Loew has been honoured with scientific prizes. As a publisher of two books, “Manual für Endoprothetik der Schulter” and “Meistertechniken der Schulterchirurgie” he has made a significant contribution to training for orthopaedic surgeons. Prof. Loew’s treatment foci are arthroscopic and open surgery for sequalae of trauma and degenerative changes in the shoulder and in the elbow. The vast majority of procedures are performed arthroscopically. A further emphasis is on shoulder arthroplasty for osteoarthrtitis and sequalae of trauma. The prime goal of treatment is to move patients toward a new quality of life by restoring pain-free joint function. Prof. Loew makes individual assessments together with patients to find the best approach for their personal circumstances. Shaft-free shoulder humeral head replacement "Eclipse"